We have just completed our fourth New Zealand RMU ‘Roadshow’, and we are delighted to see the continuing shift of emphasis towards the safety of your staff/contractors and the public when customers are evaluating a new Ring Main Unit. There now seems to be a willingness for lines companies to engage their respective councils to allow larger products in the interest of safety. Such solutions were not available when many council rules were formed, and the existing rules were often simply based on the dimensions of equipment of that era. We congratulate those taking the effort to educate their local councils that newer and safer RMU technologies are now available, rather than continuing to take the easier route of continuing to install unapproved or automated Class A equipment. 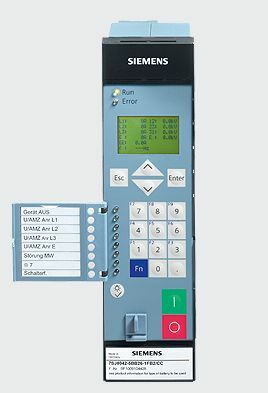 Siemens quality and design, with the peace of mind that the equipment is backed by the extensive expertise and resources of Siemens. With the expectation of a service life in the order of 40+ years, it’s important to select a vendor/manufacturer that is likely to still be around at the end of the equipment service life! Over a three-week period we travelled with the Ring Main Unit from Auckland to Invercargill (and back), with a quick loop via Kerikeri added. The RMU looks no worse for wear even after travelling over 5,000 km, and having the enclosure open and covers removed at least twice a day. 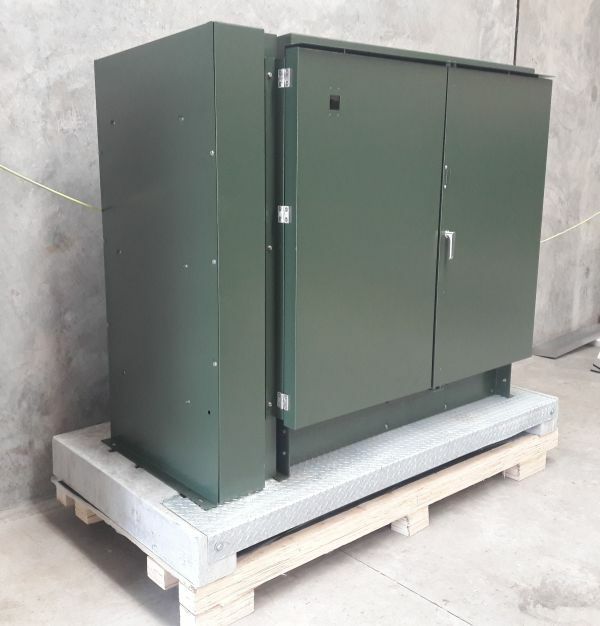 Siemens flat-pad Class B outdoor RMU enclosure, on concrete plinth. We remind you of the open invitation for customers to visit our Auckland RMU facility to see different examples in stock. If you are coming to EEA in Auckland this June, give us a call. We would be happy to see you at our facility before, during or after EEA. Our Shaddock Street facility is only about 10 minutes’ drive from EEA – we can even provide transport if you want to be assured of getting back for that interesting presentation. 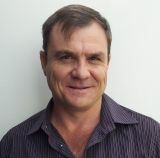 We welcome Wim van den Berg who joins us in the capacity of Project Engineer and Project Manager for MV Switchgear. (Wim is pronounced Vim !) With an increasing number of 8DJH RMUs being ordered with Automation and other customer specific options Wim will become deeply involved in the fulfilment of orders for engineered RMU solutions. Prior to joining HV Power, last year Wim gained a MEMgt – Master of Engineering Management qualification at Auckland University. He has extensive experience as an automation engineer and industrial electrician. His new role at HV Power provides plenty of scope to apply his considerable skill set. Upgraded versions of the software for A.Eberle’s range of Power Quality Analysers have been released. The latest release of ‘WinPQ mobil’ further simplifies what is one of the simplest, yet most powerful, setup tools for a PQ Analyser. Links to the ‘WinPQ mobil’ software and notes on the new features can be found within HV Power’s website technical library. ‘WinPQ mobil’ 4.0.2.1 includes support for the new PQ-Box 300 featured in our November 2017 Newsletter. This is the only device on the market to effectively measure harmonics up to 150 kHz. For ‘PQI-DA smart’ users, links to ‘WinPQ smart’ software downloads can be found here. 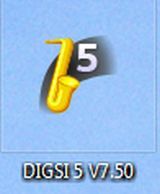 Hotfix 4 has been released for DIGSI 5 version 7.5. We recommend that this is applied by all users as it fixes a number of small issues. Hotfix 4 includes Hotfix 1/2/3, and can be installed on top of any DIGSI 5 version 7.5 installation. With the introduction of a new EN100 Ethernet SCADA card (the EN100+), DNP-iP protocol is now available for all SIPROTEC 4 and SIPROTEC Compact relays. SIPROTEC Compact 7RW80 Frequency relay for AUFLS. DNP-iP now supported. While DNP-iP protocol has previously been available on selected relays, the introduction of the new EN100+ SCADA interface makes this available as standard across all relays. To take advantage of this universal support you must have the EN100+ hardware and use DIGSI 4 version 4.91 or later. The EN100+ ships with all new relays in place of the earlier EN100 module (unless otherwise specified). EN100+ can be fitted to most existing SIPROTEC 4/Compact relays. We have updated the web version of our April 2017 newsletter to include some more recent technical notes relating to Siemens SIPROTEC protection relays.